Defy your gray hair! 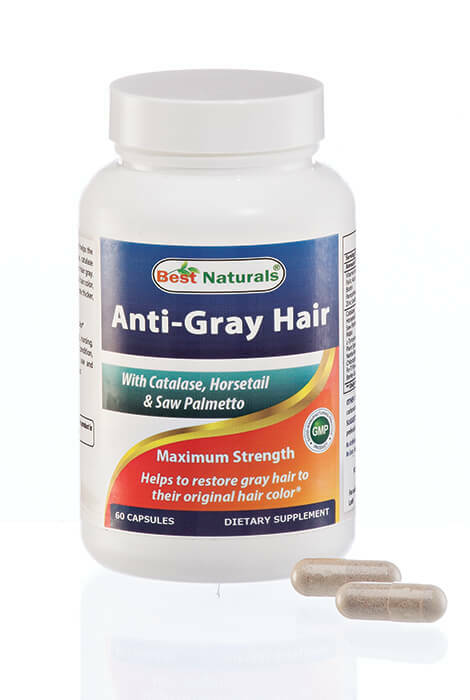 Restore gray hair back to its original hair color with this all-natural Anti Gray Hair Formula featuring essential B vitamins and minerals, along with a proprietary blend of herbal extracts and nutrients. 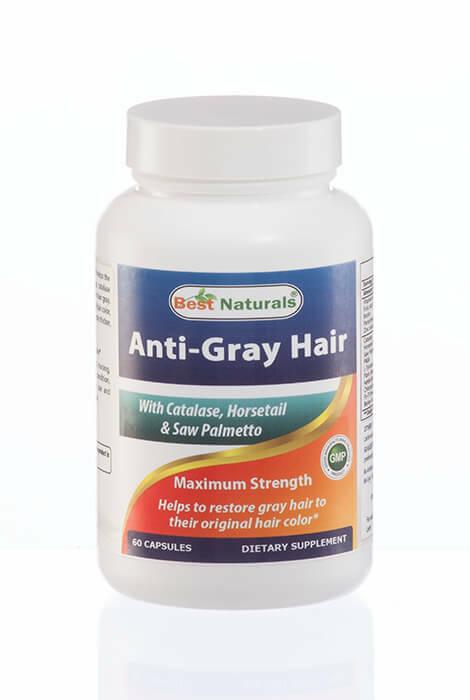 Scientific studies have shown that low levels of the enzyme catalase can turn hair gray. This formula helps balance the body's catalase levels, and contains other natural ingredients to reactivate dormant or near-dead pigments to reverse grey hair. Capsicum, amino acids and essential minerals work together to prevent NDF (nutrient deficient follicles), the leading cause of poor hair quality and quantity. To use, take 2 capsules daily with meals. Contains 60 capsules. As dietary supplement, take two Capsules daily with meals.